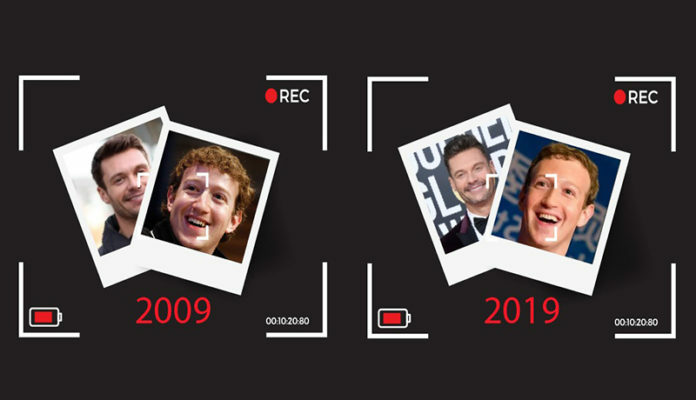 This 10 Year Challenge is storming the social media from the last couple of days. The trend was a heaven for the people who are always on a look for excuses to post their throwback pictures; something that made it cumbersome for others to look at their social media newsfeeds. Contrary to popular belief the trend was not utterly senseless; In fact, it had all the ingredients of the perfect social media entertainment. As the name indicates, this trend was all about posting pictures of 2019 and 2009, just to tell people how much they had changed. In fact, it was all about making a comparison of a decade old past and present or seeing the extent of transformation one could undergo. And, it was not that bad, because we go to know that some people had really changed for good. It was a fun to see people’s transformation. Then there were those who not only changed the looks but also the gender and people were quick to point it out. Just like every other thing, people couldn’t have more of this 10 year old challenge and got exhausted; something that makes sense. After all, why someone should really bother about how you looked then and now. As, these meme was point it so aptly. As mentioned earlier, the 10 Years Challenge was not that much weird. In fact, it was dynamic in several ways. There were plenty of posts that highlighted a harsh reality in a hilarious way and even beat some funniest Am I a Joke to You Memes. Like, this post that shows an empty wallet that remained unchanged for the 10 years. They were also bringing attention to the fact how we brought Earth to the brink of devastation due to human activities. While, as a person we must have gone a stunning transformation but what about Earth…? Don’t we care anymore how it looked 10 years before and how it is going to look 10 years from now Onwards. It just threw reality into face. Like, this reference to Priyanka Chopra and Nick Jonas age gap was too hilarious. Few used it to show progress. What Could be the Reason behind This 10 Year Challenge ? Most of the social media users blindly followed this challenge, but then there emerged an assumption by Kate O’ Neill . It hinted that trend could be a mean for social media websites like Facebook to gather enough data to aid its facial recognition algorithms on age progression.